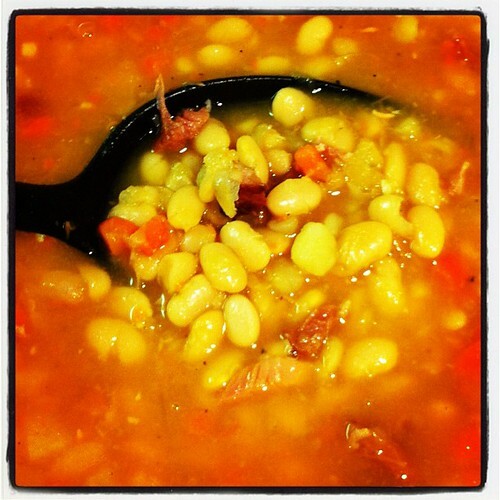 This rainy SF Sunday inspired me to make ham and bean soup (Mark Bittman's recipe with some tweaks) and some cornbread. I got to cook with ham hocks for the first time! It's a soul food kind of day, I guess. 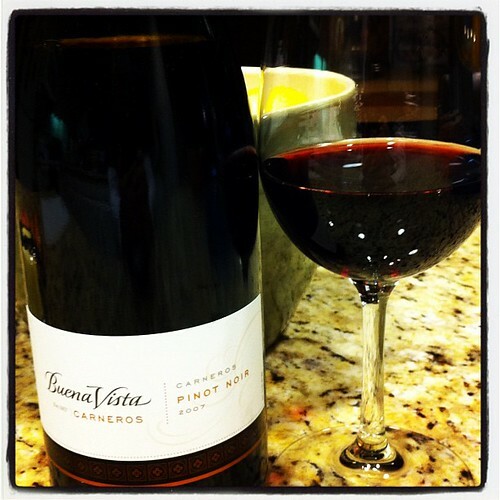 So, to balance out the southern influences, I'm pairing dinner with this tasty 2007 Buena Vista Carneros Pinot Noir as my little dash of the West coast. I hope you have a nice meal tonight too.